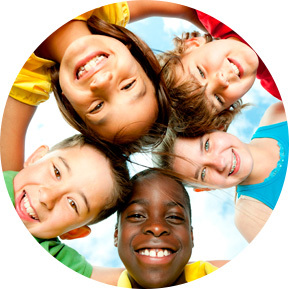 Our philosophy is to provide your child with a Safe and Healthy Environment. 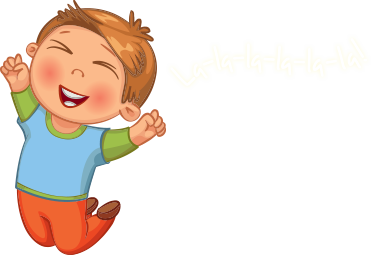 We all know that children learn best when they are engaged and interested in an activity. That is why we utilize “Learn as you play” guides for age-specific curriculum and programs. 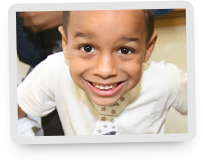 All of the programs are carefully designed to advance your child developmentally, intellectually and socially. The core of our philosophy is to give your child solid foundation for a bright future. Choosing the right Child Care Center for your child is one of the most important determinations in your life. We want you to decide with confidence. Please take your time browsing our site for answers and if any additional information is needed we are always there for you. Just call our friendly staff to schedule an appointment with Mon Jardin Center’s Director. We want you to be confident and appeased that your baby is in the best care available. To Enroll Your Child Today! Quality child care. Our center is recognized as a Two-Star Level of The Excelerate Program. 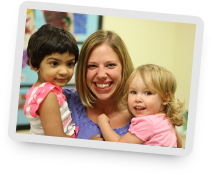 We provide a caring environment with a high level of personalized attention for each child from 6 weeks to 6 years. An outstanding learning environment that fosters a foundation of learning for our children. 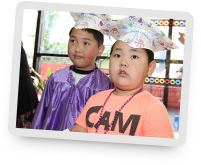 Our Creative Curriculum with language-rich actions places a strong emphasis on the development of comprehension skills through meaningful activities. Safe environment with four-layer security protection including 24-hr recorded video surveillance, computer controlled entry points, silent alarm, personnel at the front door. Great high-quality nutrition: breakfast, hot lunches and healthy snacks. We assure every child receives high-quality nutrition through well-balanced meals freshly cooked every day by our chef, served family style to increase children's independence. Children inherit good manners. Our children learn how to respect their environment while developing a sense of responsibility for self and others. A clean and well managed child care facility. Our center has an excellent Health Department and DCFS record. We exceed state and national licensing standards. 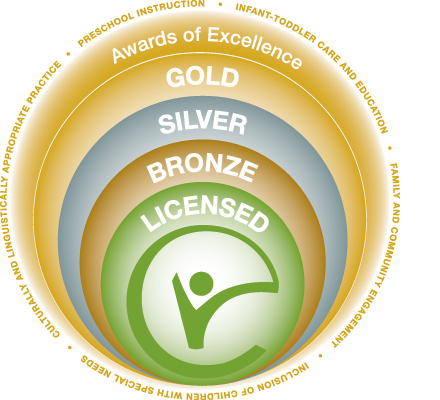 Mon Jardin Center is awarded Silver Level of Quality Rating System for outstanding teaching and child care practices. We conduct an extensive background check on every employee in addition to surveillance cameras through out our facility and outdoor playground areas to ensure the safety of our children and staff. Fun, exciting and safe outdoor activities. Our playgrounds design with safety and security in mind for each of our age groups of children. Children from 6 weeks through 14 months. 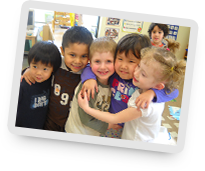 They are surrounded with loving and nurturing attention in small groups. Their everyday activities include exploration in dramatic play, sensory/art activities, literacy, music and curiosity. At 14 to 24 months children begin to develop a sense of self. Our loving teachers in the Toddler's Club encourage walking, talking and dining on table foods. Their daily activities include dramatic play, sensory/art, literacy, music, curiosity, construction and outside play. 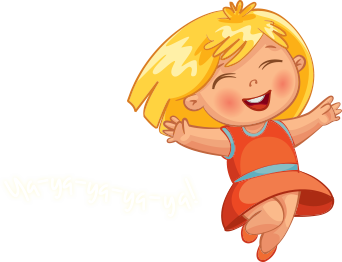 Children are gaining their independence. This is why we provide them with small group activities which keep them interested as they gain new skills and prepare for future development. Daily lessons for our Two's Program includes dramatic play, art, creative movement / gymnastics, story time / language development, numbers play, music and colors / shapes / sizes and outside play. Our Preschool Classroom employs the Illinois Early Learning Guidelines and the Creative Curriculum. We provide them with small group classes which keep them interested as they gain new skills and prepare for school. Activities for three to four year-old include dramatic play, art, creative movement / gym, story time, music / dancing, mathematics, pre-writing skills, social studies and science. At this age children begin to develop an increasing interest for learning. With the help of our Certified Early Childhood Education Teachers, children expand their knowledge and interest about the world, which widens their experiences and prepares them for more advanced learning. Their daily activities include dramatic play, art, creative movement / gym, story time, music / dancing, mathematics, reading, handwriting, social studies, virtues program and community awareness. All lesson plans are created in line with Creative Curriculum and Illinois Early Learning Guidelines. Mon Jardin offers enriching learning opportunities in a fun environment for school-age children. Join us for summer fun, friendships, and exploration. We follow four essential rules when planning our excursions and field trips: the trip must be developmentally appropriate, safe, have educational value, and it must be fun! 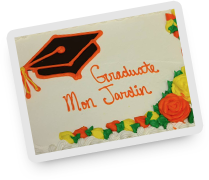 Mon Jardin is a growing company. We are relentlessly looking for strong childhood education professionals. Now is the best time to talk to Mon Jardin. 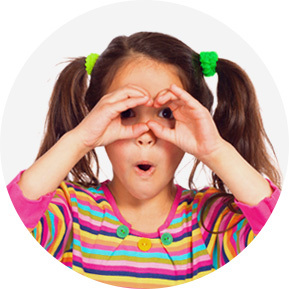 If you are passionate about early childhood education you don’t have to look any further. Mon Jardin is the right choice for you. We offer a state-of-the-art facility, provide the right tools and support, we are QRS accredited, offering higher than average compensation and generous child care discount. We use only the highest quality foods and prepare them in our kitchen according to the strictest quality standards. Fresh fruits and vegetables, dairy products, a wide variety of grains and breads, and quality meats are always on the menu. Getting kids to eat what's good for them can be a challenge, but our chef makes it easy by offering not one, but a few different menu choices , rotated for seasonal preferences. Do you have outdoor play areas? Yes, we have two. One is located directly outside our facility facing west and the other is located directly outside our facility facing north. The two playgrounds are separated for different age groups of children. Of course, both are privately secured by an 8' wooden fence and is under constant enhanced supervision, including surveillance cameras and trained personnel. Child - Teacher ratio is the same as inside the classrooms. Our playgrounds are designed for Safety and Fun! Do children go on field trips? Yes, we do go on field trips year around, with the highest concentration taking place during the Summer Adventures Camp Program. Yes, safety is of the utmost concern, we have a four-layer security protection system including 24-hr recorded video surveillance, computer controlled entry points, silent alarm, and personnel at the front door. Meticulous security background checks of every employee. We are constantly updating our software package and other security procedures. Safety is a prime agenda on all the teacher's meetings. What are the teacher-child ratios? Teacher-child ratio depends on the child's age. In all our classrooms starting with Infant Room our ratio is better than State required. Our experience shows that it makes a crucial difference in development and education process. Does Mon Jardin provides meals or snacks? Yes. We provide four nutritious meals during the day. Hot breakfast, hot lunches and two healthy snacks. We assure every child receives high-quality nutrition through well-balanced meals freshly cooked every day by chef in our kitchen. And since we employ professional chef we offer flexible menu choices for children with special dietary limitations. It's all part of Mon Jardin all-inclusive service doctrine. When is tuition due and what forms of payment are accepted? Tuition is charged every week to parent/guardian's account. However, we understand that some of you have different preferences for the frequency of payments. You may pay weekly, by-weekly or monthly. Mon Jardin accepts all forms of payments including major credit cards, checks and cash. What is the cost of the child care? Tuition cost varies depending on the age of your child and schedule needed. Mon Jardin offers fourteen different choices of schedules for your child. Please click the "Ask a Question" green button at the right top of this screen and send a message to correspond with our directors about tuition. Specify how many days or half days you need and our friendly staff will respond to you shortly. Please remember we are only one phone call away 847-465-8080 (extension "0" will be a good choice). Saturday and Sunday center is closed. Do you offer part time child care or full time only? Yes, we do offer more then 14 flexible tuition schedules to serve your needs better. Just specify how many days or half days you need and send us your question by using "Ask a Question" green button on the right top corner of this screen. We will answer your email shortly. Do you own vehicles and provide transportation for children? No, we do not own any transport or vehicles. We provide children transportation using fully licensed, bonded and insured School Transportation companies (Yellow School Buses) to schools within our school district and all Field Trips. My kid absolutely loves the daycare and every body over there. The center is clean, they give healthy and good food, they provide detailed report of the daily activities and above all the teachers and everyone at the center are very friendly and nice.I love checking out their daily photos and videos updates on their life cubby. My kid loves to go and we are happy and satisfied to be part of the Mon Jardin family. The program at Mon Jardin is absolutely wonderful! The teachers and staff are all experienced care providers who have a very comforting, genuine nature about them. Even the teachers in the older classrooms know my daughter by name and give us a warm greeting when we see them. The transparency at Mon Jardin is unparalleled and I always feel that I am well informed not only in regard to the curriculum but also on a day to day basis with my daughters behavior and development. Mon Jardin is a technologically friendly establishment as well as the LifeCubby app keeps me updated throughout the day and enables me to actually see what the kids have been up to. The food that is provided is healthy and nutritious and I adore all the art work and projects she brings home. Mon Jardin gets a big GOLD STAR in my book! My son started at Mon Jardin at 4 months old. After a long month of searching for the perfect place, I stepped foot into Mon Jardin I knew that this was the environment that I wanted Joey to be in. It so secure, so safe, and just overall welcoming. I took my shoes off to step into the infant room, and it is like being in a different world. It's a room of happiness. There are so many activities, each child was occupied, whether he or she were playing with toys, being read to by a teacher, or just having fun interacting with each other. It was amazing to see babies (they will always be babies in my eyes!) interacting with each other. I set Joey down and a little boy waddled over to him, squatted down, and started giggling which in turn made Joey giggle. Another little girl crawled over to him and offered him her toy. It was the first time Joey had any interaction with other children and this moment just brought me to tears. I knew that this was the perfect place for him. As much as I loved being home with him, I knew that the daily interaction with children and other teachers would be so beneficial in his development. I have to mention that the place is spotless. With so many kids (they have care available up to Kindergarten) I don't know how they keep it so clean but it is impeccable. You are required to take your shoes off or put on booties before entering the rooms, and you must wash your hands each time you come in which I think is great. What I enjoy also is that at the end of each day I get a paper with details of how his day went. It lists the exact times his diaper was changed and if it was a BM or just wet. It lists exactly when he was given his bottle, and now how often he was given solid foods. It also gives the start and end time of each nap. It so helpful and it is really nice having a paper right in front of me with how his day went. But what I love most about Mon Jardin is Ms. Maria. She is the lead teacher in the infant room and her knowledge of infants is outstanding. I am a new mother, and her helpful hints and tips have helped me so much. I can just tell that she puts her heart and soul into what she does. You know when you can just tell someone is passionate about something? Well, this is her passion. She has more patience than I have ever witnessed before. Meeting her during the tour really put my heart at ease. I thought to myself before "how will anyone be able to take care of Joey as good as I can, he needs his Mommy". Well, Ms. Maria does it. It is so comforting knowing that Joey has her. It was hard to put my trust in a daycare, but I fully trust Mon Jardin and I give the credit mostly to Ms. Maria for taking such good care of my Joey. I would highly recommend Mon Jardin, and look forward to watching Joey grow with the Mon Jardin family. My son has been attending Mon Jardin since he was 8 weeks old. I first decided on the Center because of its cleanliness, security, and professionalism of the staff when I first toured the property. A year and a half later, I have stayed with Mon Jardin because we now feel like part of the family. Even with the many children that attend the school every day, I feel like my son gets the personal attention that every child deserves. As a first time parent that works full time, you have the worry that sending your child to daycare might not be the right move. But I no longer have that worry. He enjoys going to “school” every day and he comes home happy and exhausted from the various activities. The learning curriculum in place helps him develop and the experience staff can tell when he may need a little help in one area or another. The daily activity sheets keeps my husband and me informed on the fun stuff he gets to do all day. Recently they have added a wonderful online feature that enables us to see pictures of him and his friends having fun in the class room! A nice bonus! Overall my experience and more importantly, my son’s experience has been very positive. I always tell my other mom friends how much I love Mon Jardin. Mon Jardin has to be one of the BEST daycares I have had the pleasure of sending my child to. They are caring, respectful and tentative to my child and me. They do what most daycares should do, but don’t, they listen to the parents. We moved from our previous day care because of the astronomical rates and crowded rooms. At Mon Jardin they keep the groups small and the children active. The rates are VERY reasonable considering all the benefits we receive. My son loves the fresh cooked meals and activities. While I enjoy the fenced in play yard, individual password touchscreen entry and electric daily notes and pictures on LifeCubby. My son cheers "yeay we made it" when we turn into the complex that leads to the daycare. 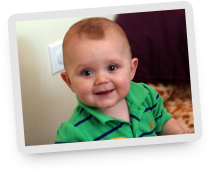 They helped potty train him very quickly with consistent methods and a loving atmosphere. After trying out 3 different daycares we have found a perfect fit. We originally had planned on using Mon Jardin only to off-set our primary day care, which was only open during the school year. 3 weeks into the summer my wife and I had started the discussion on how well our son (14 months) was doing there, and since they are year round, we it seemed to be a good fit. After 1 month we decided that we wanted to keep our son enrolled at Mon Jardin, and we have not looked back. Mon Jardin is run very well, and each room is for different age groups, so your child will be in the room with kids his/her age. They have a good system for dropping off and picking up your child, and the security is also very good. They keep the facilities very clean, and in each room the children have their own cribs to sleep in each day. They have an on-site chef who makes fresh and healthy meals for the kids (they get breakfast, snack, lunch and an additional snack each day). We could not be happier with the staff, and overall our experience has been excellent! Testimonials. We want your comments and value your opinion. Your feedback is helping us in our tireless pursuit for improvement. Your testimonial may not appear immediately because it will be checked for adequacy with posting policy. On August 30, 2008 Mon Jardin will have a Rummage Sale of children's clothes, toys, books, car seats and more... Proceeds will be used for donation to Chicago Abused Women Coalition. 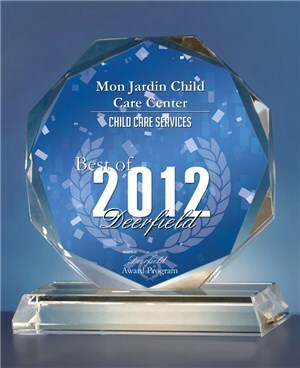 Mon Jardin Recognized and Rewarded for What It Already Embrace - Quality Child Care! Quality Rating System (QRS) assists Illinois child care programs in providing quality care for children and their families. QRS offers progressive star levels for licensed providers. They are: One Star, Two Stars and Three Stars Award. The Silver Circle of Quality recognizes that the program has met quality goals. 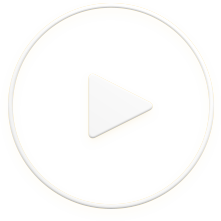 Silver Circle programs meet or go beyond quality standards in three areas: learning environment and teaching quality; administrative standards; and staff training and education. Programs are actively engaged in continuous quality improvement. We understand how valuable your time is so we began the E-Z Enrollment concept! Simply download and complete the appropriate forms below which will expedite your enrollment appointment with one of our directors. Print and complete applicable forms at your convenience. Copyright © 2016 Mon Jardin Co, Inc. All rights reserved.